Ringing in a new year has historically been a time for reflection. So we thought it a fitting time to look back at all the Waifs and Shelter Sweethearts that we've brought to your attention in 2014. 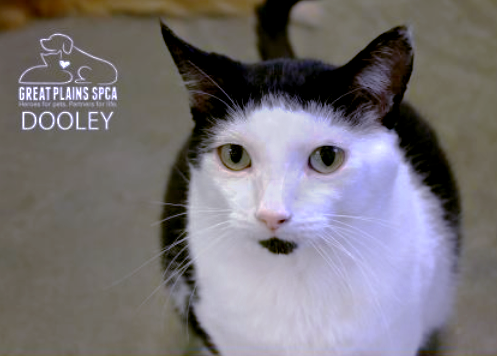 41 kitties were featured, including a few very special ones you may recall, like Macy and the sweet kitten with a heart murmur, Drew. 37 of these had a home for the holidays! Chairman Meow, transferred from Great Plains over to Wayside this fall, to help ease Great Plains overcrowded conditions. The Chairman is also FIV+. But seriously, who wouldn't want a big ol' orange kitty to cuddle with? 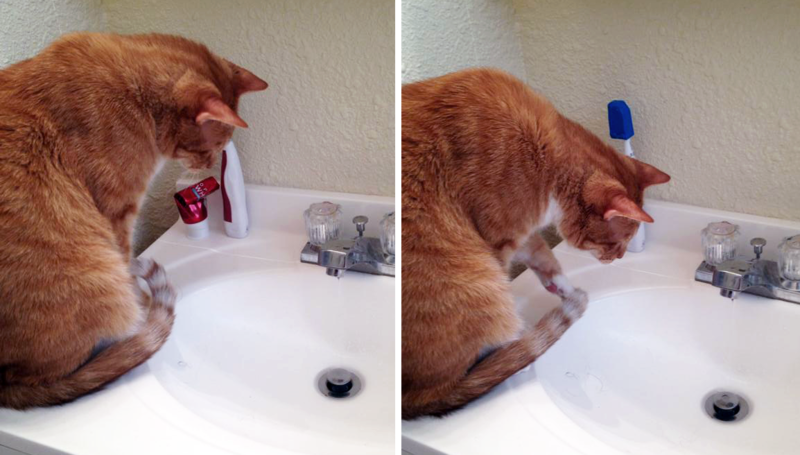 Beauford, another orange mancat who loves playing with the running water in the bathroom sink! His foster mom says he's a real cuddlebug. Here's hoping 2015 is his year! 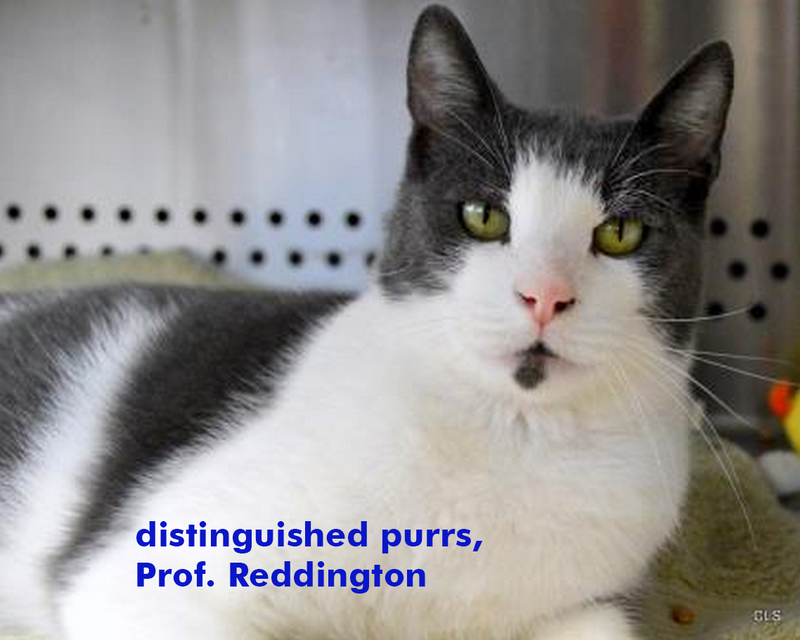 And finally, Reddington the Recondite Feline. We can understand why this refined guy might take his time making up his mind on just the right human - and we sure do hope he decides on one soon. 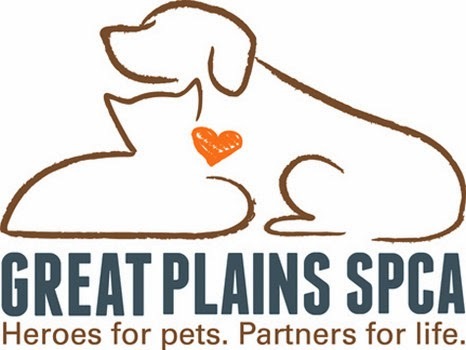 We shared 47 kitty tales with you from Great Plains SPCA in 2014. Of these, we're so happy to share with you that 41 of them have found their forever families! They cheered the ball that dropped in Times Square in their own homes. 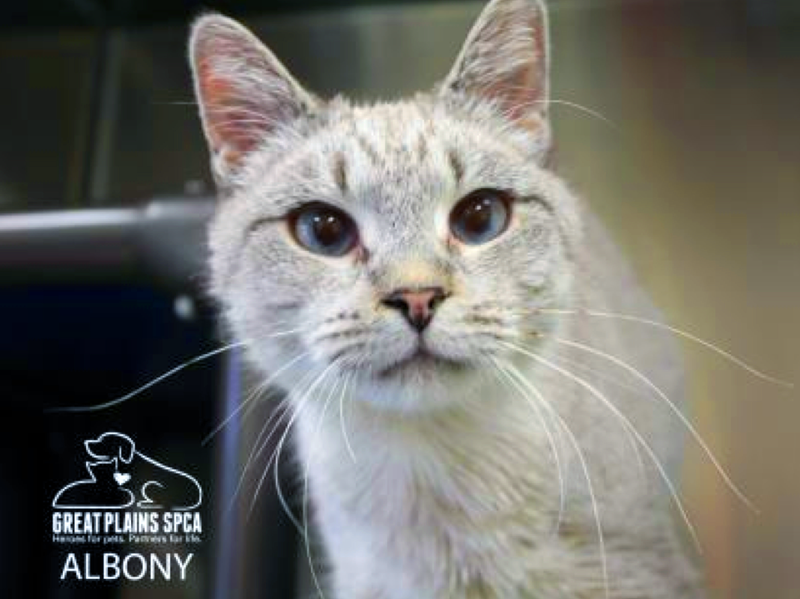 Albony: We knew this sweet - yet very skittish - Siamese girl might be hard to adopt. She needs just the right patient, loving person who is willing to work with her fears. We're crossing our paws that this happens for her very soon. Kitykins: Our hearts go out to her, for we featured her all the way back in March. We have no idea why this golden girl is having such a difficult time finding her forever home, but we hope it happens soon. Dooley: This guy just loves kids. 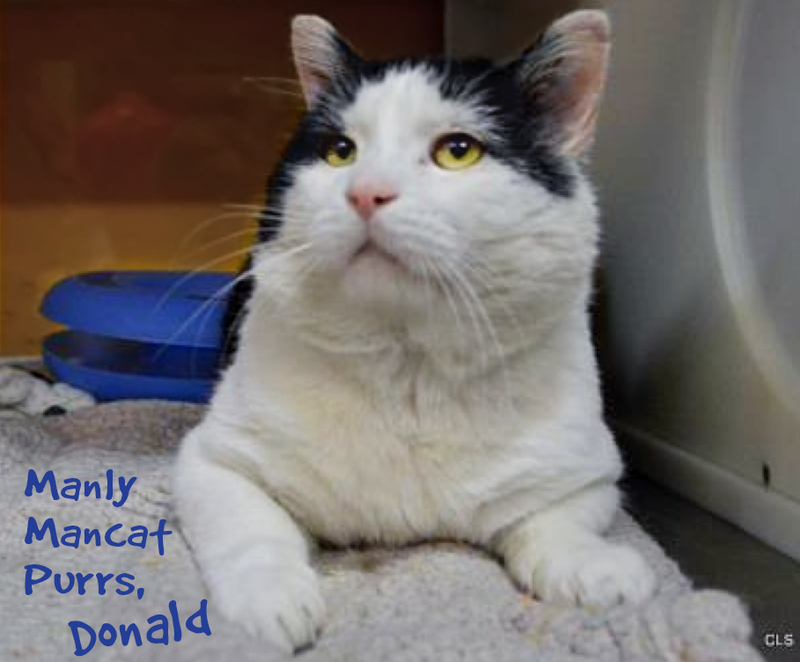 He's a recent addition at Great Plains, so we're hoping his one and only human is waiting just around the corner for him. Sadie: since she's a recent addition to Great Plains, we're hoping it won't be long before she waltzes her way right into someone's heart and home. 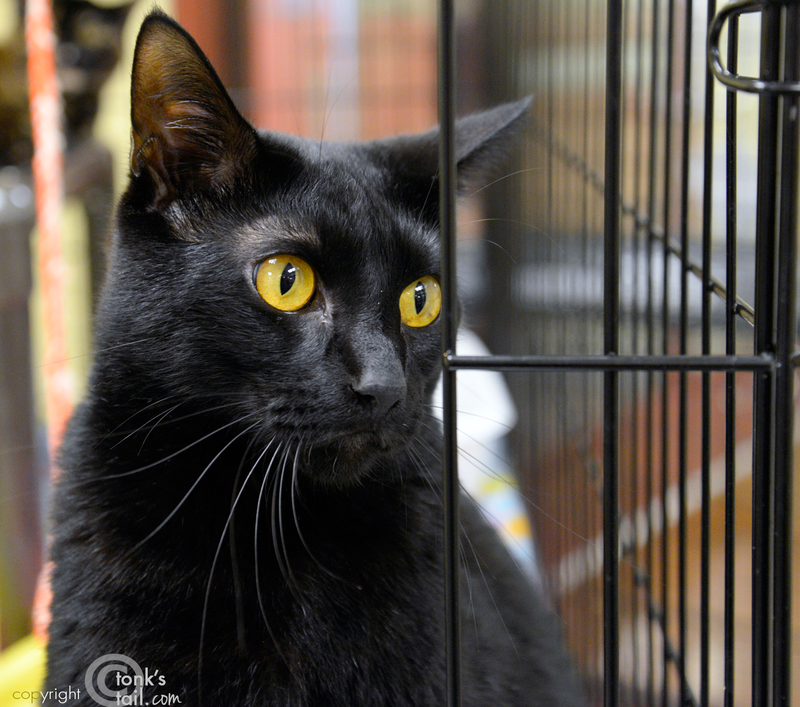 Blackie: This rough and tumble guy is still looking for his forever family. We know his ears might not be perfect, but we're hoping that just the right human walks in who can see past to Blackie's big, loving heart. And then there's the kitty whose soulful eyes went straight to our mom's heart: Alexander. 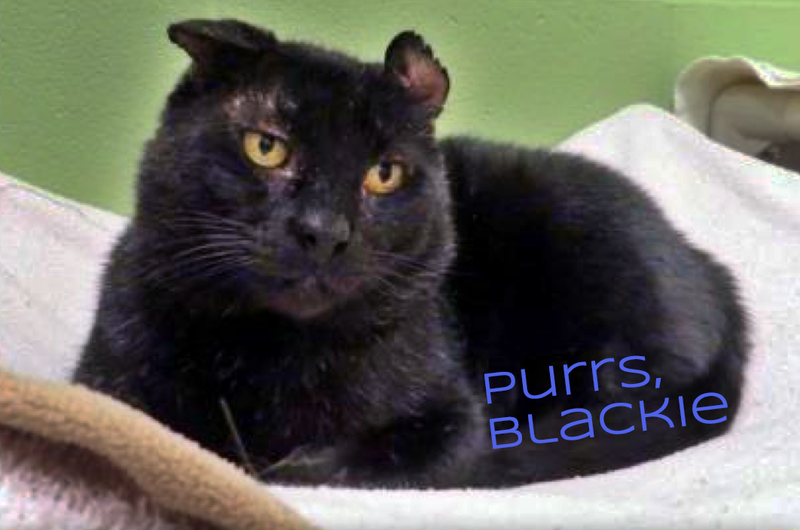 We understand that black cats are considered less adoptable, but it's still with a heavy heart that we share this second black kitty on our list, still looking for his true match. We hope that 2015 brings about greater understanding about what wonderful companions black cats truly are. Thanks for your patience as we took this journey back through the year. In all, 78 of the 88 cats featured found their forever homes in 2014. Thanks for caring about these precious lives. Thanks for sharing their stories throughout this past year. We feel sad for the kitties who still need adoption, but it is so wonderful that so many of the ones you featured HAVE found their forever homes. I hope all these kitties get their forever homes right away! Keep my paws crossed that these kitties will find their forever homes real soon ! My cats… as always, my guiding light to happiness and I hope these kitties find happy homes too. Happy New Year and blessings to you and yours from the Zee and Zoey Gang! 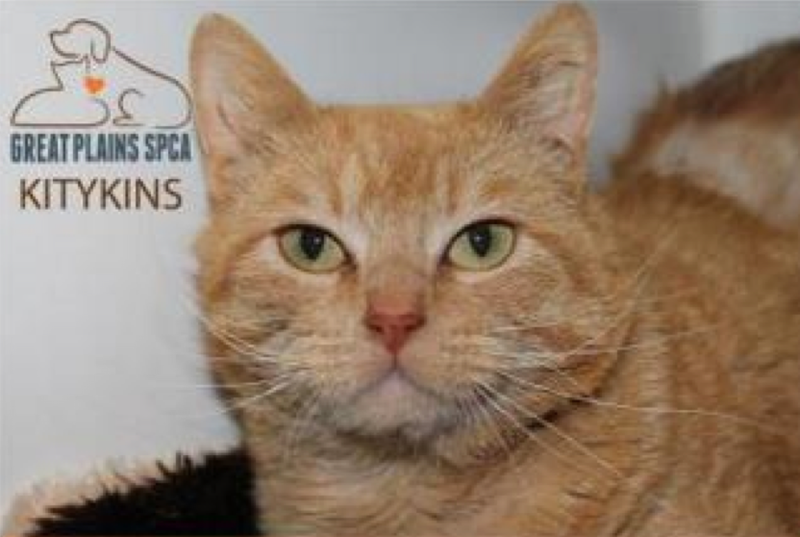 It's great to hear that so many of the kitties you have featured have found homes. But we hope the others can find loving homes, too. Especially Kittykins... since March is such a long time to be in the shelter! 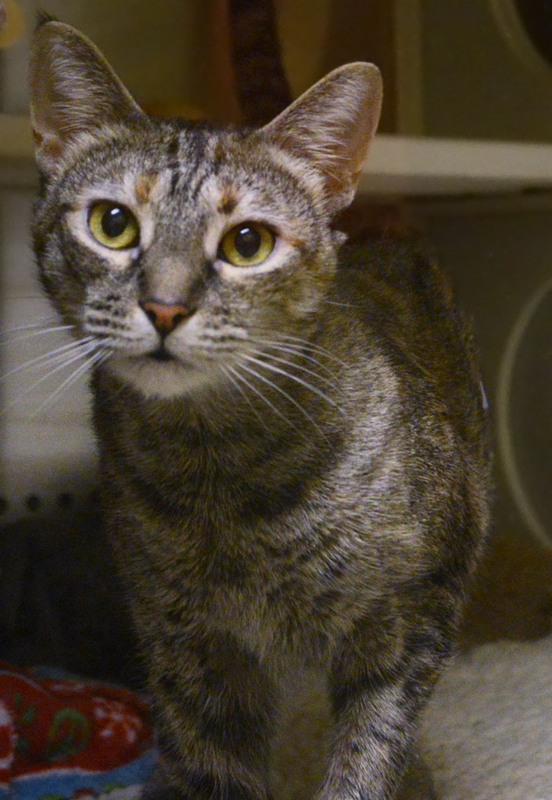 We're glad that Great Plains is willing to take care of her for so long until she finds the family who is her perfect match. That is pawsome so many kitties found homes! Maybe I should send my cat bro Bert to you and you could find him a new home. He is such a pest of a cat and really can get into our dog fur! Second thought, we will keep him as he can be entertaining too. That is really an awesome thing to have 78 out of 88 find homes...now about those other 10 maybe their new forever home is just right around the corner. Wes purraying for a Happy New Year this year for those cats still not in their forever homes and wes wishing yous a happy new year!!! It makes me sad. I wish I could have more but the male person growls any time I talk about another cat. He seems to think four is enough. As if! How awesome that so many kitties found their happily ever afters. Here's to a 2015 filled with more adoptions -- especially for the kitties you featured who are still waiting for theirs. Happy New Year, dear pals! We love ya! Happy New Year to all of you. It's wonderful that so many kitties found their new home. Hopefully the remaining 6 will be adopted soon. We love Blackie's ears, they make him unique! 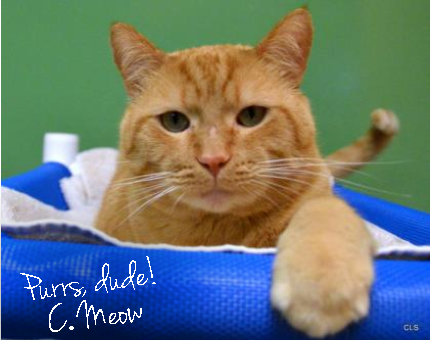 Paws up for so many kitties finding homes - and paws crossed for those who haven't yet! Wow, that is fantastic that so many of your featured kitties got adopted! 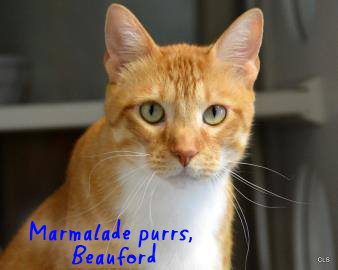 Sending big purrs to the ones still waiting for them fabulous forever homes. Happy New Year to you...may your 2015 sparkle with magic and be filled with love and possibility! That’s a bunch of kitties who got adopted! Good job. Happy New Year to everyone from La Casa Keisha! Here's to a wonderful, healthy and prosperous 2015 filled with great food, love & cat adoptions. That's a really good number of the featured cats that found a home. We wish they all could find a good home. Happy New Year to all of you. We are late catching up... We all slept really late. Happy New Year, friends! :) It is so wonderful that so many of the kitties you featured last year have found their forever homes. We hope and pray that the ones who didn't find them last year will very very soon!! The remaining kitties are all so adorable; I don't know why they haven't already been adopted! We sure wish you a very Happy and Healthy New year and sure hope all those kitties find their forever home. It is so great that you show off these kitties. Hope the black one with the funny ears finds a home soon. Take care. We wish 2015 will bring more and more adoptions. Happy New Year!